“Spare the rod and spoil the child” the saying goes. With origins in the Bible (Proverbs 13:24) but with more secular meaning today it has come to embody the idea that corporal punishment may be necessary to correct childish behavior and to instill and enforce values in a child. 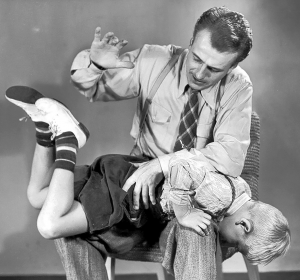 The most common form of corporal punishment is spanking; more dramatic forms of corporal punishment may be the use of a belt or switch to strike the child. But at what point does corporal punishment cross the line from tough parenting to child abuse? The legal lines can be a little unclear. In Virginia, the Virginia Supreme Court has given guidance with these words: “While parents or persons standing in loco parentis,” such as legal guardians, “may administer such reasonable and timely punishment as may be necessary to correct faults in a growing child, the right cannot be used as a cloak for the exercise of uncontrolled passion, and that such person may be criminally liable for assault and battery if he inflicts corporal punishment which exceeds the bounds of moderation.” Carpenter v. Commonwealth, 186 Va. 851, 860, 44 S.E.2d 419, 423 (1947). In Carpenter, a seven year old child had plainly visible wounds and bruises reflecting she had been cruelly and brutally beaten. The Court held this punishment amounted to assault and battery and exceeded the bounds of moderation. A jury or a judge ultimately determines reasonableness based on the circumstances of the punishment. “Where a question is raised as to whether punishment had been moderate or excessive, the fact is one for the jury [or fact finder] to determine from the attending circumstances, considering the age, size and conduct of the child, the nature of the misconduct, and the kind of marks or wounds inflicted on the body of the child. See Carpenter, 186 Va. 860, 44 S.E.2d 423. Applying the reasoning in Carpenter, and subsequent cases (see Harbaugh v. Commonwealth, 209 Va. 695, (1969); Ferguson v. Commonwealth, 51 Va. App. 427 (2008)) if marks are left on the child as a result of discipline that are more than superficial and transitory, particularly bruising or abrasions that last more than a day or two, it may prove difficult to defend such discipline as reasonable. The standard of what is considered either moderate, or excessive, hinges upon what is considered appropriate or reasonable by society. Virginia courts have refused to draw a bright line and as a result, the standard of reasonableness can shift over time. Current trends seem to be more protective of children causing the reasonableness line to move from years past. Critics of corporal punishment argue corporal punishment leads to a range of problems such as aggressive behavior and psychological problems in children. See Steve Hendrix, The End of Spanking, The Washington Post Magazine, Jan. 3, 2013. Many states, including Virginia, have banned the use of corporal discipline in the classroom. Steve Hendrix, in his 2013 Washington Post Magazine article, noted there is a concentrated push by a growing number of child advocates to end corporal punishment and eliminate spanking entirely, instead classifying any corporal punishment as hitting which constitutes an assault. In fact, there are 34 European, African, and Latin American countries that have a total ban on spanking in all settings, including in the home. More recent studies recognizing the harmful effects of corporal punishment have not caused state legislatures to proscribe it. In June 2015, the Massachusetts high court recognized that parents have a right to reasonably spank their children as long as the force is reasonable, related to child-rearing, and the force isn’t excessive. Such is still the common-law in Virginia. It remains to be seen whether the prevailing views of our parents’ and grandparents’ generations will continue to hold sway in upholding the legality of reasonable corporal punishment. So how does a parent make sense of this legal landscape? While some parents rely on the Bible and the law to inflict strict physical discipline it bears noting both the Bible and the law require a parent to use moderation and reasonableness. See New International Version of the Bible, Proverbs 13:24 (“Whoever spares the rod hates their children, but the one who loves their children is careful to discipline them.”) Parenting is one of the hardest jobs in the world. Under our current law if parents choose to correct their children by way of corporal punishment, they need to make sure it is reasonable and appropriate; if so, their actions are less likely to result in criminal charges. 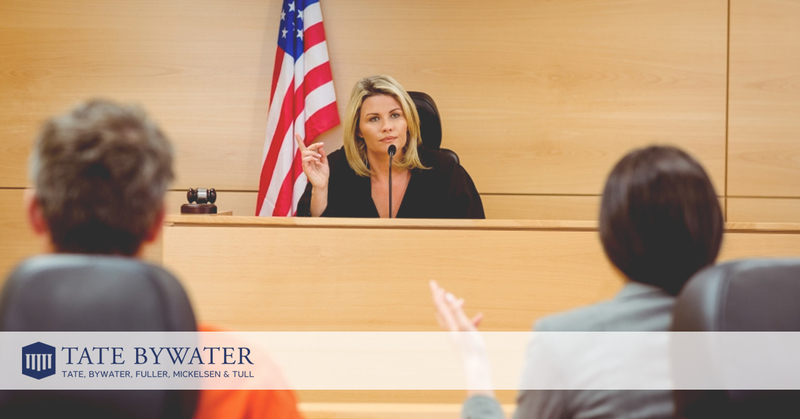 If you find yourself in a situation where you have been charged with excessive use of corporal punishment, abuse, neglect, or other family or criminal law needs, do not hesitate to contact TATE BYWATER to set up a free consultation.